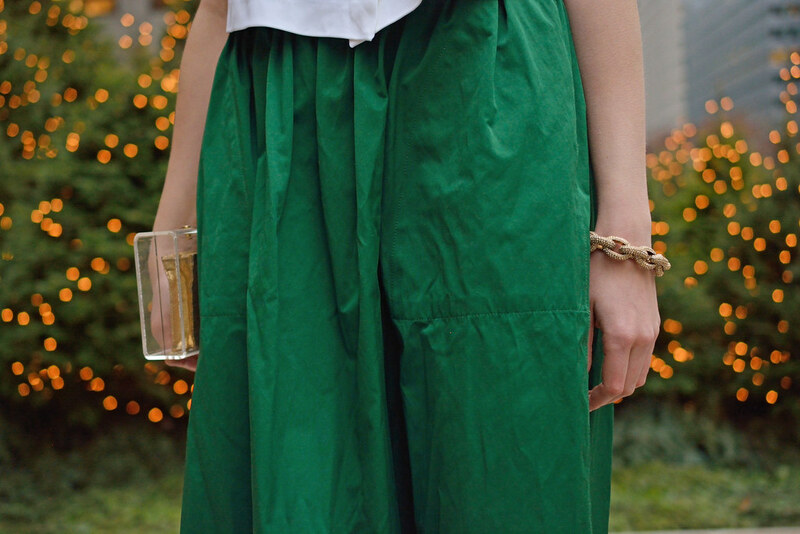 Tis the season for holiday cheer and dressing! 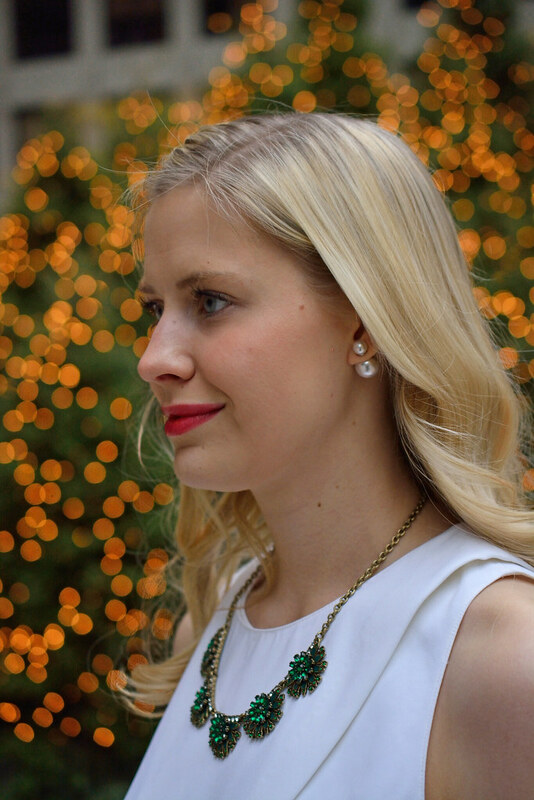 When dressing for the holidays, I always try to incorporate lots of sparkle and festive colors. 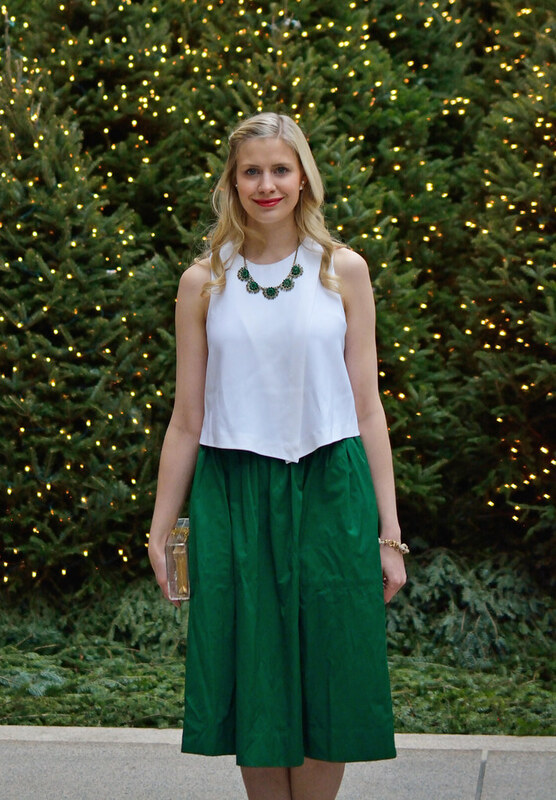 For my first holiday dressing post, I chose to wear a more formal look that I would wear to night time holiday parties or for Christmas Eve. 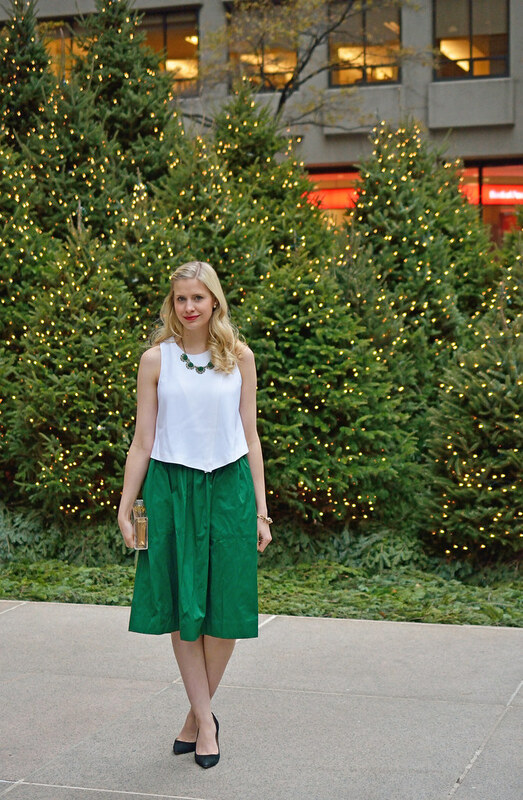 This midi skirt is so festive and lady-like and perfect for holiday parties. I chose to pair it with a simple, longer crop top and finished it off with this sparkly necklace, my favorite clutch, and a red lip for a simple look.